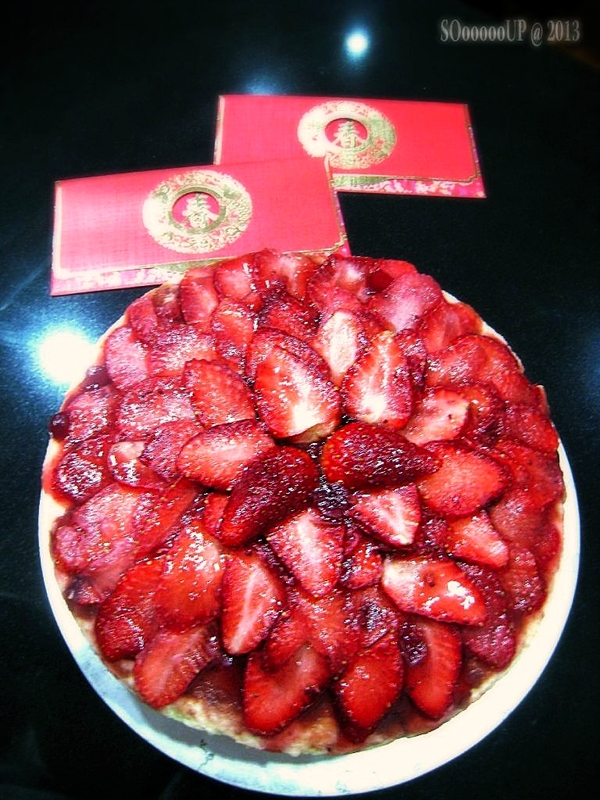 My eldest girl's birthday fall on the 1st day of Chinese New Year and to lesser the hassle of buying a cake I baked a light Japanese strawberry cheesecake to celebrate the occasion. 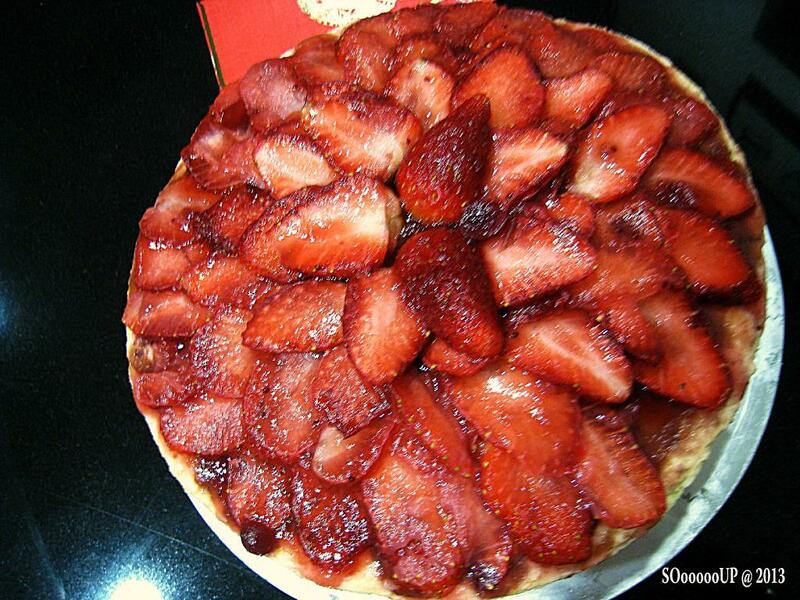 Although the strawberries were expensive at this season, it was big and juicy. 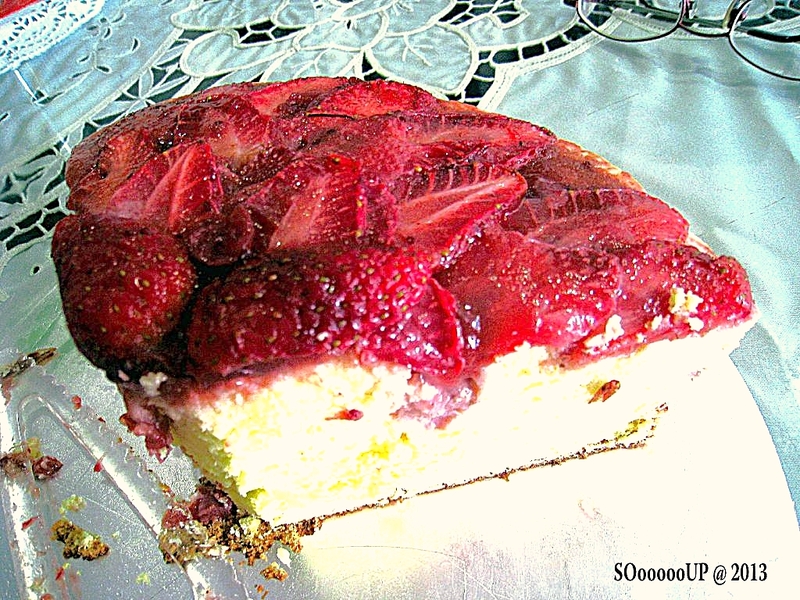 Used 3 strawberries to mix with the cheese batter and used the rest to decorate the top of the cake. 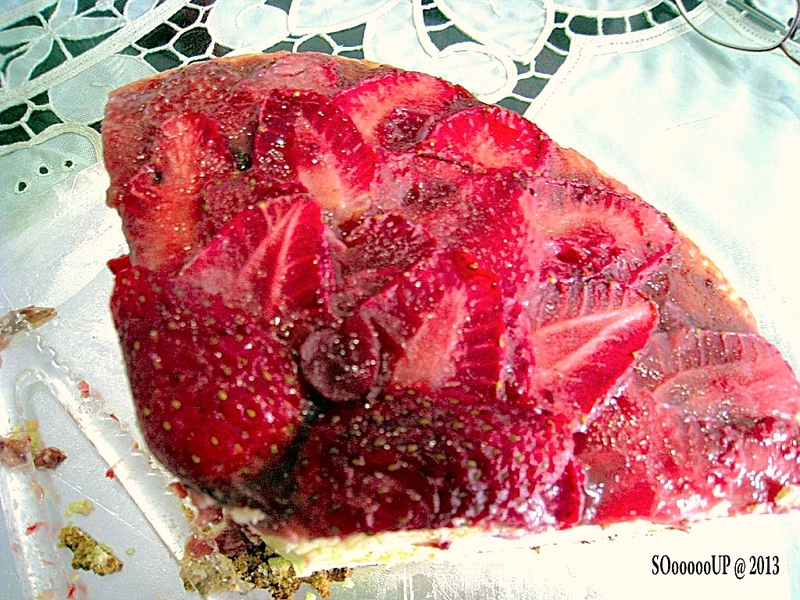 Melt a piece of gelatine and brush over the strawberries.